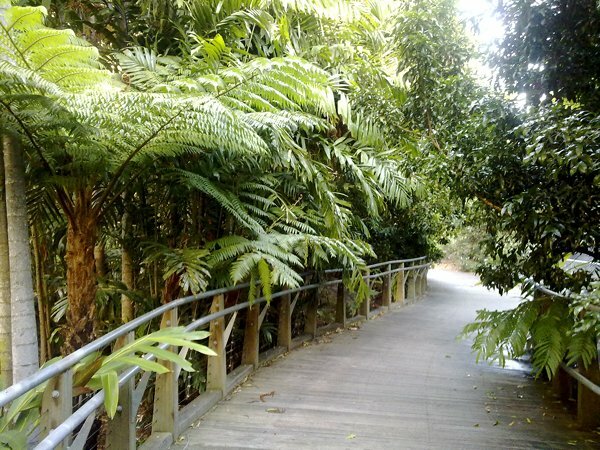 Roma Street Parkland is the world’s largest subtropical garden in a city centre. 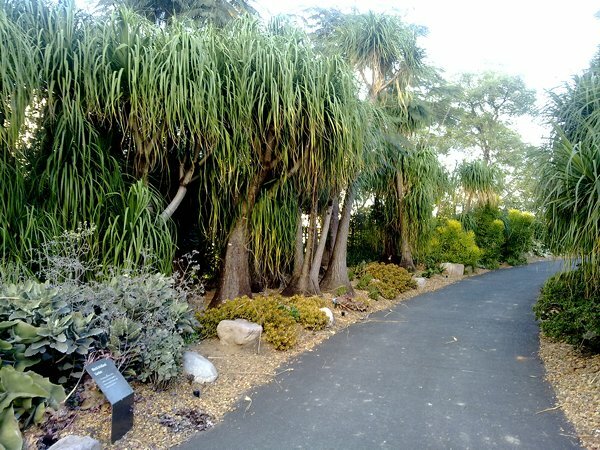 The parkland features a variety of themed gardens and recreational areas, with a web of pathways and boardwalks traversing cascading waterways and rocky outcrops. 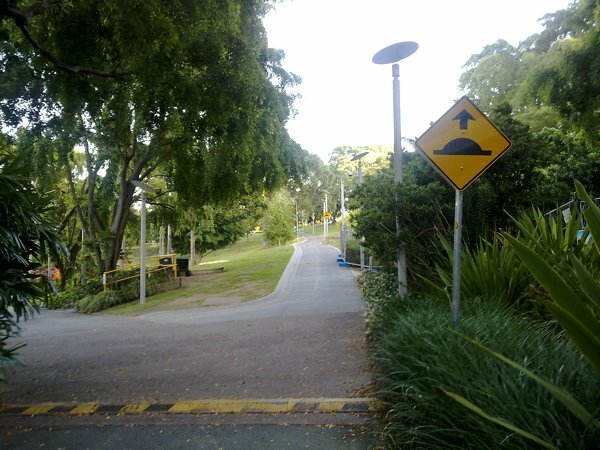 The park is in the city center of Brisbane, having borders to George and Alice Street. 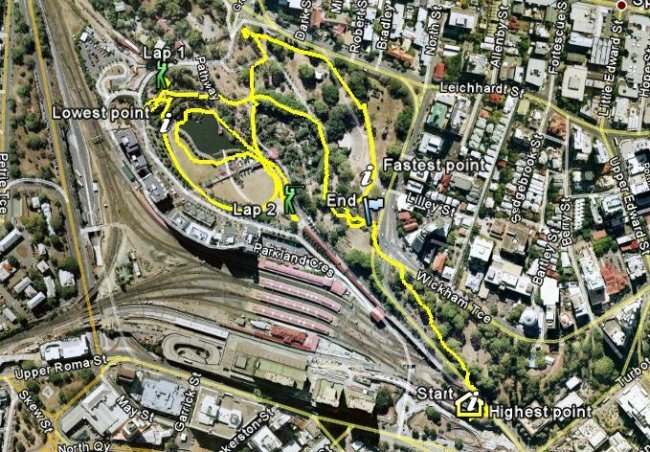 You can get off King George Square station or Roma Street Station and from there it is a walking distance. 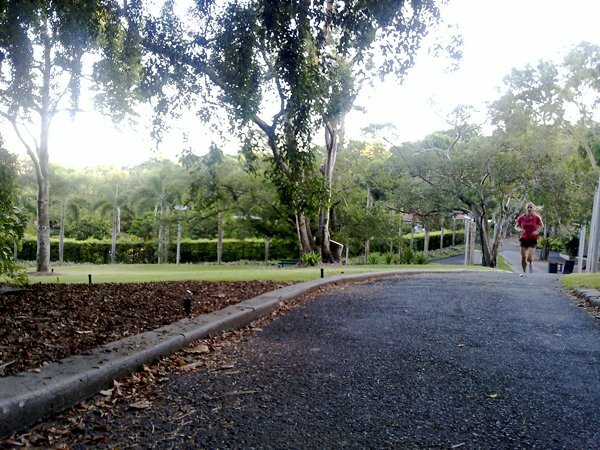 The park has it’s own car park, with road access from the intersection between Wickham Terrace, College Road and Gregory Terrace. The track: There are many intersecting tracks, a true labyrinth. You can build a loop with a total length of about 2 - 3 km, bringing you back to the departure point. The track is asphalted and there are some serious uphill parts. 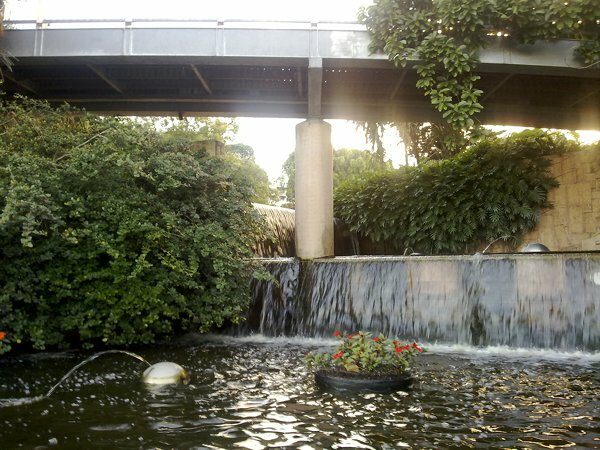 The scenery of the various gardens and cascades is really beautiful. During the early morning you will find many people running and practising all kinds of sports here. Water point: I didn’t see any. 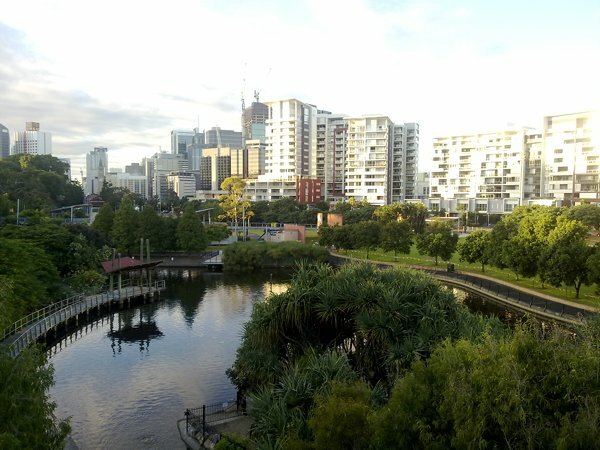 Good to know: From the Roma Street Parkland, there are several opportunities to continue for a long run. 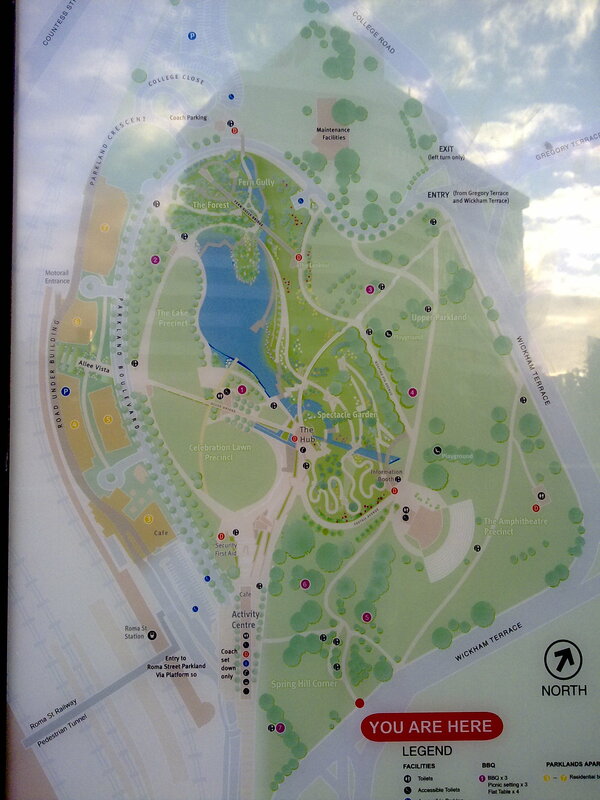 You can follow the Bicentennial Bikeway to the Botanical Garden or to the Cangoroo Point for example. Find a high-resolution map here.